If you could reduce Mean Time To Repair (MTTR) down to a fraction of what it is now would you do so? Of course, anyone would slash MTTR down if they could and there are a lot of companies who promise just that. Before we look at MTTR reduction, let’s first get a stake in the ground around the process steps that consume time behind the MTTR measure. These are generally considered to be: Detect, Isolate, Analyze and Remediate. We will discuss ‘DETECT’ In Part 1 of 4 related posts. Traditionally, the process entails trolling through log-files after something has gone wrong in the hopes that we can isolate one or more codes and then research them to see what they mean. This all takes time and occurs after the fact when the MTTR clock is already ticking. The ConsoleWorks Platform has a different take on MTTR that can greatly reduce MTTR across a wide variety of issues. This capability is called Intelligent Event Modules (IEMs). ConsoleWorks’ base technology under IEMs is the ability to define patterns that represent events of importance that can be generated by a hardware or software asset. These events are embedded in all hardware and software in an IT/OT infrastructure by the manufacturer. If we set up these codes in ConsoleWorks IEMs, we can identify these events. The IEMs encode the event patterns of the predefined manufacturer’s events along with each event’s severity rating and a human-readable description. ConsoleWorks scans log-file changes in real-time (log-files are tailed to stream new information directly to ConsoleWorks) to detect any events that have occurred. The automated process greatly reduces the MTTR by proactively detecting events (Detect) in milliseconds as compared to waiting for a failure to occur then trolling logs to find out what might have happened. So at this point our MTTR impact is as follows: Detect = 0, Isolate = ?, Analyze = ? and Remediate = ? While cybercrime steadily increases in the US, the perceived complexity of data security remains a barrier for organizations to strengthen their cybersecurity strategies. Cyber risks and cybersecurity operations are complex and unique to every circumstance, therefore difficult to quantify. But ultimately, all complexities can be broken down. This is the mission of CS4CA USA 2019, returning for a 7th year to Houston in March 26th-27th 2019. IT & OT security experts unite to elucidate the most advanced cybersecurity information and policies to current and future threats jeopardizing American Critical Infrastructure. CS4CA USA brings together IT & OT cybersecurity professionals to discuss challenges, debate critical issues and explore new ideas and concepts. Join 250+ experts from across the Oil & Gas, Energy, Utility, Water, Power & Maritime industries in Houston, Texas. The 7th annual Cyber Security for Critical Assets conference boasts a dynamic double-stream agenda with both IT & OT sessions. This invitation is complimentary, it includes access to all sessions, a copy of the presentations and 12 points for your CPD qualification. To redeem your VIP Summit Pass use code: TDI at checkout. You’d think cybersecurity would not be of any interest to high school or even middle school students – well you couldn’t be more wrong. Scout Troop T25 is comprised of students that think cybersecurity is cool. 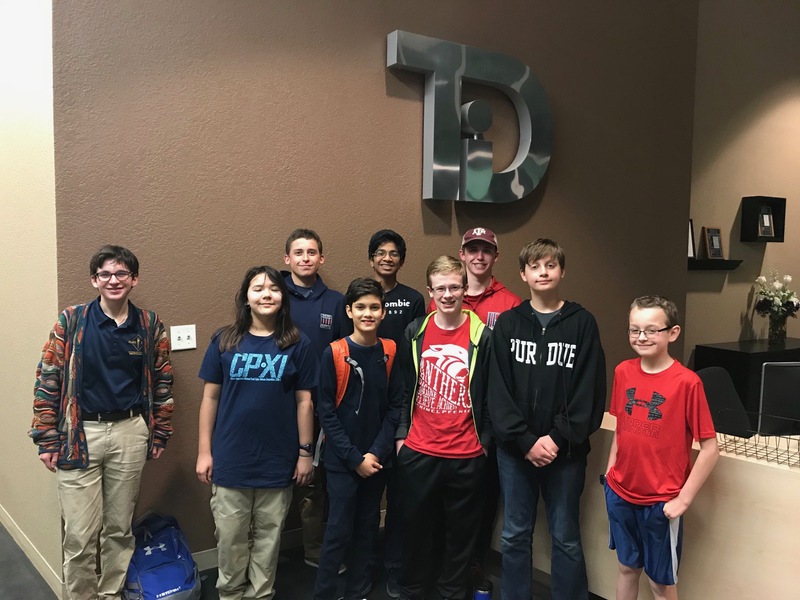 The troop is a member of CYBERPATRIOT, the organization’s mission is to motivate students toward careers in cybersecurity and STEM. The national youth cyber defense competition is an online, tournament structured event in which teams of 2-6 students are scored on how well they identify and remediate cyber vulnerabilities and build secure virtual networks. Each spring, winners at the National Finals Competition are awarded scholarships, and all registered competitors are eligible to apply for internship opportunities. The competition is not only fun and exciting, it also creates a career path for today’s students, fostering continued education from high school through college and into the beginning of their careers. The Network Security Challenge involves finding and fixing security vulnerabilities in Windows and Linux operating systems. The Cisco Networking Challenge consists of an online quiz and a virtual networking exercise based on specific training materials. The challenges are relatively easy in the first round and become more complex as the competition continues. Prior to the rounds, teams download “virtual image” representations of operating systems with known flaws, or cybersecurity “vulnerabilities.” During the rounds, teams must find the flaws while keeping computer functions (“services,” such as email) working. Team progress is recorded by a central CyberPatriot scoring system. Teams also take the online networking quiz and virtual networking exercise at the same time, which are based on assigned training materials for each round. TDi Employees Spread Holiday Cheer! 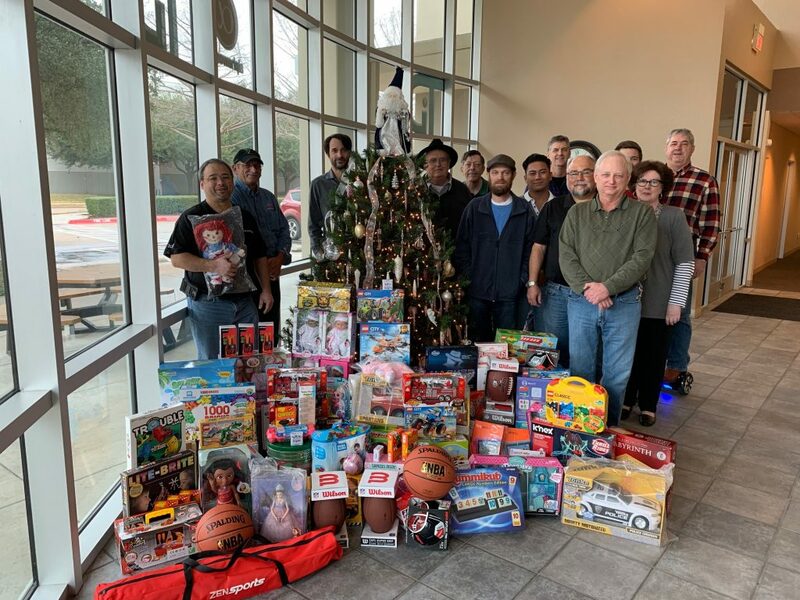 This week the TDi Technologies Plano team had the opportunity to be Mr. or Mrs. Claus to many children in the local area. Each employee received a $100 Amazon gift card from the CEO, to go online and purchase their favorite toys to be given to local fire stations in Plano, Parker and Allen for unfortunate families and children.